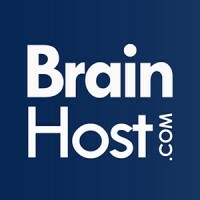 BrainHost is currently offering up to 40% on most of its online pricing. Visit www.brainhost.com for more details. BrainHost takes pride in providing world class hosting services to all of its customers. They offer web hosting services such as Shared Hosting, Dedicated Server Hosting and E-commerce Hosting. They also offer domain name registration and transfer and website creation. Providing good value for money, BrainHost offers its customers a wide range of helpful tools and services to help them succeed – at no cost. Its operations are environmentally-friendly, with data centers that utilize a special cold aisle/hot aisle configuration that needs less cooling, eliminating hot spots, as well as low voltage servers. The company also engages in other earth-friendly initiatives in their offices such as recycling, purchasing green products and services, utilizing energy-efficient power strips and using natural sunlight. There are many reasons why Brain Host is considered as one of the best in the web hosting industry. In other words, it is a hosting service that gives customers a foolproof system in developing and managing websites. Brain Host adjusts to the needs and financial capability of clients. In fact, it offers unlimited hosting from $7.95 to $9.95 every month which is very low based on industry standards. The package includes complimentary setup, immediate activation and numerous hosting features. You can also expect perks like 10 links for SEO, marketing credits, website transfer without charges, and training course in social media. It also provides clients with a 30-day money back guarantee. Refund will be given if you choose to terminate your hosting account. Customer service support can be accessed via email, live chat and toll-free numbers. Customers can also look forward to informative content, training guides and webinars, along with video lectures. Besides, the Priority Support mechanism gives the assurance that a support ticket is answered promptly in 30 minutes. Web hosting by Brain Host is simply loaded with useful features and instruments that will allow users to optimize web space without difficulty. You are assured of domain hosting and transfer of data without restrictions. There are other additional benefits for users such as spyware and spam scans; site builder and marketing credits; File Transfer Protocol Accounts; and various applications for installation. These are WordPress, Joomla, Drupal, and massive programming language support. Brain Host will also permit you to establish a potent e-commerce or business website very quickly. Limited knowledge of technical matters does not pose a hindrance since the point-and-click website builder is fairly uncomplicated. The more knowledgeable users can log in to cPanel which supplies graphical interface and tools for automation to shorten the site hosting process. This panel makes use of a three-layered structure that lets administrators, site owners, and resellers control websites and server administration using a typical web browser. cPanel possesses a command line and Application Programming Interface access for third-party software merchants, developers and web hosting companies.